The Charles Melton crew at cellar door training: Krys Smith, Virginia Weckert, Charlie Melton, Cam Malouf, Lucy Fitzpatrick, Erin Hoklas and Debbie Tregeagle with Vinehealth Australia training manager Rebecca Weatherill. This situation, as described by Krys Smith, a member of the winemaking and viticulture team at Charles Melton Wines in the Barossa Valley, is a familiar one for those with vines in public locations. 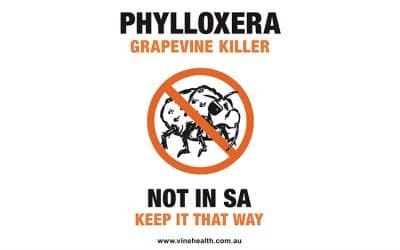 Pests and diseases can be picked up and spread on people’s shoes, clothing and vehicle tyres, as well as on equipment, machinery and grape material. 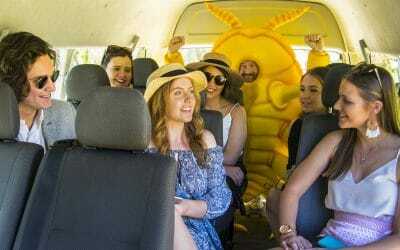 In response to this issue, Vinehealth Australia has developed a Responsible Visitation Campaign (RVC) for the South Australian wine tourism industry, to start a conversation with tourists about vine health. 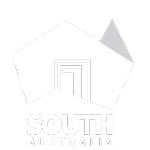 “We recognise the vital role that wine tourism plays in South Australia. We are working with cellar door operators to ensure tourist expectations and activities align with healthy vines objectives,” said Inca Pearce, CEO of Vinehealth Australia. 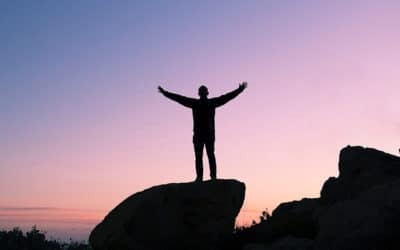 Charles Melton Wines is one of the campaign’s six best practice test sites, along with Skillogalee Wines in Clare, Golding Wines in the Adelaide Hills, Angove Family Winemakers in McLaren Vale, Bremerton Wines in Langhorne Creek and Zema Estate in Coonawarra. Charles Melton has 28 hectares of Shiraz, Grenache and Cabernet Sauvignon, with more than 90% of vines on their own roots. 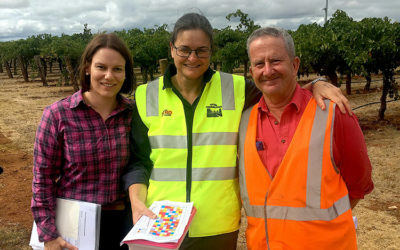 When the team at Charles Melton find a visitor in their vines, they politely ask the visitor to stay on paths and roads. “We tell them that by walking amongst the vines, they could be unknowingly spreading pests and diseases,” Krys said. “It’s a big concern for us. There is a lack of understanding by the general public – local, interstate and overseas – about the impact they could have on the health of our vines. And when you consider what the potential impacts in the short and longer term would be, it’s important that we get better at biosecurity. 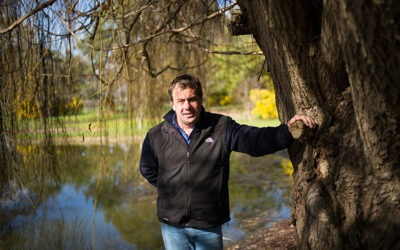 “There are tangible losses such as loss of production, loss of income, replanting costs, quality reduction, loss of resources, but also the intangibles, not just for us, but for the South Australian wine industry in general, such as damage to the brand due to loss of the ‘clean and green’ image and loss of disease free status. There are many experiences on offer for tourists at Charles Melton Wines including wine tasting, lunches, private tastings, museum tastings and winery tours. Krys also takes VIPs for vineyard tours in her ute, rather than allowing visitors to drive in their own vehicles, in or near vine rows. “I carry a footwear disinfestation kit, and rubber boots that we can provide for visitors, too,” Krys said. 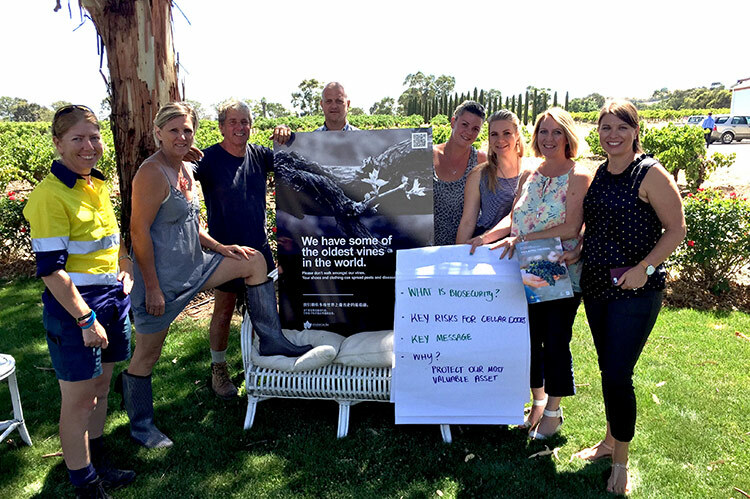 The team at Charles Melton also recently participated in Vinehealth Australia’s Wine Tourism Biosecurity training program, which arms cellar door staff with tools and dialogue to talk to visitors about vine health. “This opened our eyes to risks we really hadn’t considered before. We’re reviewing our biosecurity practices and addressing risks where we can,” Krys said. As one of six campaign sites, they were also given Wine Tourism Biosecurity signage, carrying messages such as: We have some of the oldest vines in the world; Please don’t walk amongst our vines; Your shoes and clothing can spread pests and diseases; and Help protect the vines that make our special wines. The signs have Mandarin translations of key messages and are available for purchase.